International Women’s Day is celebrated to make women aware of their rights and promoting gender quality in all the spheres of life. Nutritionist Nmami Agarwal on this Women’s Day talks about imparting nutritional knowledge to women. This theme for International Women's Day 2019 is 'Think Equal, Build Smart, Innovate for Change'. Every year, 8th of March is observed as International Women’s Day. This significant day is celebrated all across the world in order to empower, educate and celebrate women. International Women’s Day is celebrated to make women aware of their rights and promoting gender quality in all the spheres of life. Every year the day has its own theme. This theme for International Women’s Day 2019 is ‘Think Equal, Build Smart, Innovate for Change’. Nutritionist Nmami Agarwal on this Women’s Day talks about imparting nutritional knowledge to women. Let us read further. Have you ever heard of nutritional knowledge? We will tell what it is? Nutrition knowledge majorly refers to knowledge of concepts and processes related to nutrition and health. This includes knowledge regarding healthy diet, disease-specific diets, dietary sources of essential nutrients, nutritious foods, important nutrients as per the stages of life and much more. 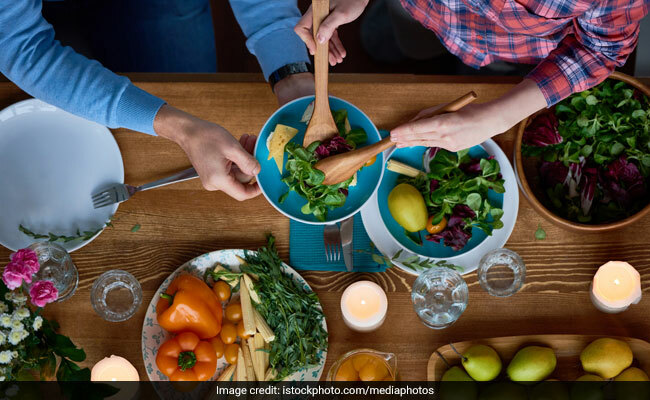 Lack of nutrition knowledge, and less consideration of health as a priority while making food choices, can lead to nutritional deficiencies and poor health outcomes amongst the family. Nutrition knowledge majorly refers to knowledge of concepts and processes related to nutrition and health. If the women are have adequate knowledge about nutrition then she will serve her family with a healthy diet and inculcate good dietary habits within the family. This will help them to stay healthy and fit. On the contrary if women lack nutritional knowledge then she might be serving her family with food devoid of nutrients and that can lead to nutritional deficiencies. If a woman has the right knowledge of foods, she can chose different combinations to cook together, and can also enhance the nutritional components of the food. This is beneficial not only for that woman but her family members as well. In this way, they can enjoy wholesome, delicious and healthy meals. Thus, it is essential to promote an awareness of the nutrients that are present in foods and their relation in body maintenance, growth, reproduction, preventing nutrition-related diseases. So if a mother, a wife, a daughter is aware of what is good and what is bad for her family then she would be able to provide her family with all the nourishment and essential nutrients required as per the age of all members.